But.... they will not BE in my room because I do not have a job chart. Yes, that's right.. a second grade classroom with no job chart! But how in the world do you keep jobs organized, you ask? And how do students take responsibility for the classroom and feel invested if there is no job chart? Let me defend myself explain. 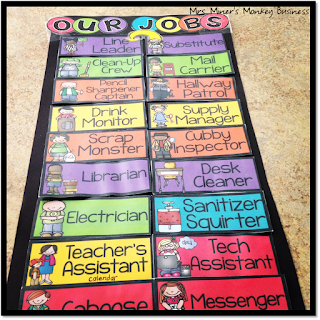 When I first started teaching (way back in the dinosaur age), I always had a job chart. I would scour catalogs (we didn't have Pinterest back then) each year to find a great chart to use in my classroom. 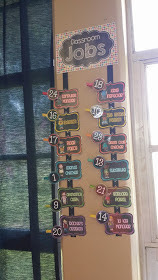 I would hang it up, write the student names on the little die-cuts and thought it would be wonderful. Nope. Then I tried things like a rotating wheel, library cards, etc. Still no. Nothing ever seemed to really work for me. How do I change the jobs each week and keep track of who is supposed to be doing what? Yes, I know I can just rotate jobs clockwise (works great if you have enough jobs for everyone) or randomly pull from a bag of clothespins... but it always seemed to be a production. And then there is remembering WHO does WHAT. Time to hand out papers... who's job is that? And can you please pass them a little faster, I'd like to get done before your next birthday. All the chairs are not pushed in... who is my "chair pusher inner" and why are you slacking? Nope, too much for me. Soooo... I created a foolproof (for me, anyway) way to still give kids responsibility in the classroom without making my head spin. Ready? It is called... "Helper of the Day." (cue the applause and sharp intake of breath) I know... not a new idea, but whoa Nellie! (anyone really use that expression? ), it works wonders for me. Here's what we do. Every day, one person is the Helper. (I capitalized the word because it is important. Some of my kiddos might think it should be in ALL caps.) The Helper does all the coveted jobs for the day - line leader, bringing notes to the office or running errands, being the calendar teacher for morning meeting, choosing the greeting/activity and pretty much anything else I need a student to do. Some days it's only those main jobs, while other days the Helper is my right-hand man (or woman). Now, don't think that the Helper is the ONLY one who does anything in our room. My kiddos know they are ALL responsible for taking care of the room and getting things done. Cut your scraps from your interactive notebook pages into little bits?... Go get the trash can. Need dice and a whiteboard for the math game? ... You know where it is. General classroom responsibility is claimed by all. Bu wait? Just one kiddo has a job? How do you remember who it is? Oh, I have a solution for this, too. And it's genius. (One of my former teammates told me that, so I know it is.) We go in order of names on the workboxes. Yep, first person on the top starts it off, then the next day is the next person, etc. If you're absent on your day, then you can be the Helper the next day - but if it's any longer than that then you have to wait until your next turn because it's just too confusing to keep track of. And the best part of this system? I DON'T HAVE TO REMEMBER ANYTHING. There is always someone (or two, or twelve) who know EXACTLY whose job it is today... and tomorrow... and when their's will be two weeks from now. And it's easy to check - Who was the Helper yesterday? Luis? Then, no your turn is not for another week - see how Rachel's name is next? If you don't have workboxes, you can use mailboxes or something else. The key is for it to be something that displays every child's name and is easy to see. I ditched the job chart last year too and I'll never go back! I always had a hard time keeping track, remembering to rotate each week, and HATED reminding the kids all the time to do their job. Now I just have to remind 1 person at most! I do a line order that changes each day and whoever is the line leader (1st person) is the Helper or Leader of the day. I have used this for YEARS! Job Charts are too much for me to manage. In my class, instead of calling it "Helper for the Day," we say it's someone's "Special Day." I print out my student's names and place them in alphabetical order on the wall. It adds decoration to my room AND helps everyone remember who's Special Day it is and the order for the class. My class takes over and I don't have to remember a thing! They watch and know when their Special Day is coming...they LOVE it! The day after your Special Day, you're the caboose (or end of the line) and you help the Special Day person with lunchroom clean up. Simple! My students are numbered according to alphabetical order. If a new student moves in I just add them to the numbers at the end (life happens and it works). We line up for everything in number order also. So first day #1 is leader and helper for the day including snack and then #2 the next day etc... Birthday students co-lead for the day. 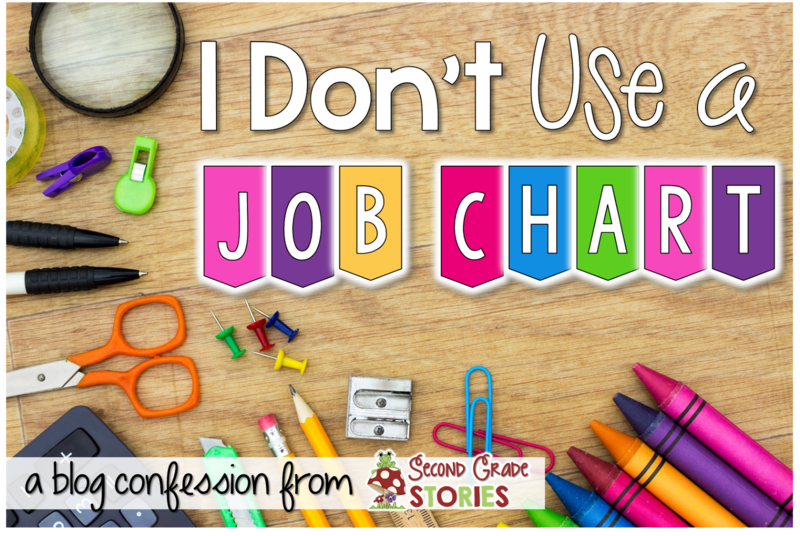 I'm a crazy rebel with no job chart, too. I usually have two helpers, though. Now, behavior management systems are another thing. I'm never quite sure if I want a whole class system or not. I'm looking forward to your post about that. I also use just one helper each day. The job chart is just too much. 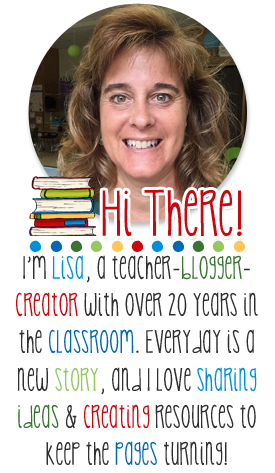 I used to have a ton of jobs in my classroom too. You're right - there were jobs that I didn't even need! Last year I really simplified it. Line leader, 3 door holders, teacher's assistant and paper passer. The teacher's assistant helps pass out paper when the real paper passer is too slow, haha. I do agree! I copy a stack of lunch choice forms and go through and highlight one name on each form...in alphabetical order. The highlighted name is my helper of the day which includes making sure lunch count is taken care of and telling me who is absent. I do this as well, hate the job chart! We call the person the VIP of the day and their jobs even include taking photos throughout the day and posting to kidblog at the end of the day. I haven't had classroom jobs and was thinking about having them next year because of a suggestion from my students at the end of last year. Your post made me rethink this. I agree that it is difficult to keep track of who is supposed to be doing what job. I would rather have all students take more responsibility for the classroom. I call it "Teacher's Assistant". I'm far too scattered to remember jobs! I have been thinking of minimizing, however we are required to 5 have cafeteria helpers each day - may cut down to these and a helper of the day though! Thanks for sharing and getting the wheels turning! I've never used a job chart. As a leader in me school, every child has a role. I may assign them in the beginning, but they begin finding what they're good at and switching jobs or we will see that we really didn't need someone to do something, or maybe we forgot about something else. Everyone has a part and I have a lot less to do! I stopped using a helper chart and going with a helper of the day about 7 years ago. Trying to keep up with them drove me crazy! I love not having g a chart. I'm with you! Jobs are too much work for me so I do something very similar. Easy and fair!